DIMINUTIVE truckie Nathan Dowling stands at just 150cm tall but that doesn't stop him driving triple road trains hauling cattle around North Queensland. 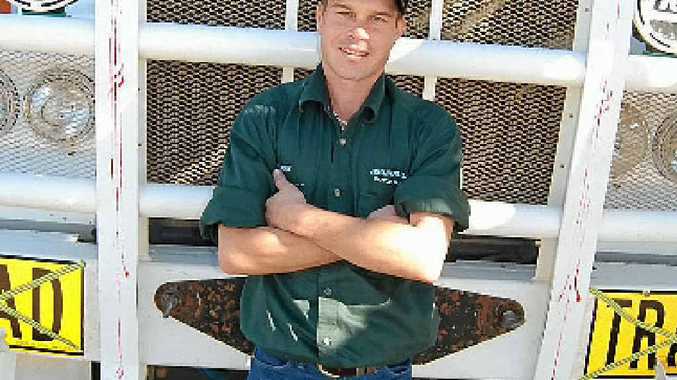 The 32-year-old Nathan works for Curley's Cattle Transport and is based at Cloncurry which is 120km from Mount Isa. Nathan drives a Kenworth 658 and likes stopping at the BP Cluden on the outskirts of Townsville when on the coast. "The worst road I have to travel on is between Cloncurry and Toowoomba and I find getting behind caravans very annoying," he said. Nathan loves his job and living in the outback and wouldn't trade it for anything. "I have been doing this for almost 15 years," he said.